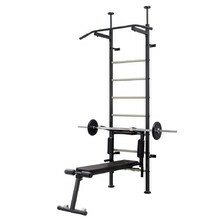 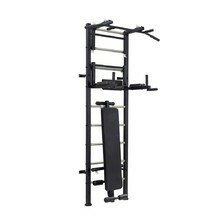 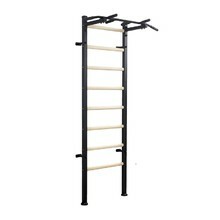 Metal wall bars are mostly used in gyms and fitness centres, because they are usually used along with other fitness equipment, such as, cross-bars, ladders or benches. 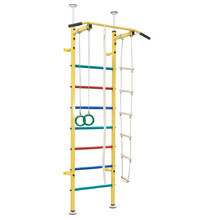 Their main advantage is maximum durability and strength, which ensure a long service life. 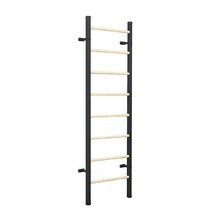 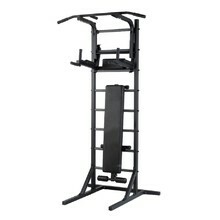 Wall bars are time-tested fitness accessory that helps you stretch and strengthen the entire body, especially your abs and chest and arm muscles. 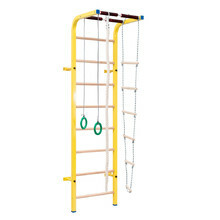 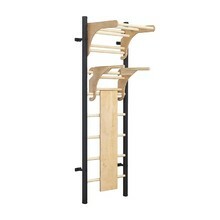 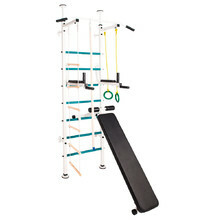 Wall bars with metal frame, rope ladder, rings, rope, pull-up bar. 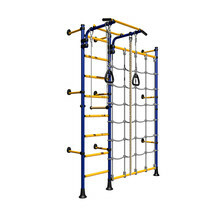 Wall bars, gymnastics rings, pull-up bar, trapeze, rope, net.